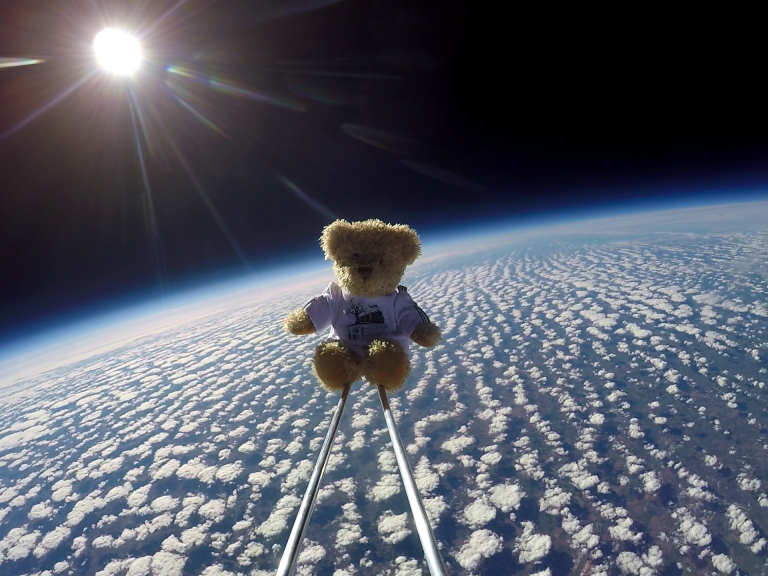 Year 2 pupils from Hexthorpe Primary School launched a teddy bear into space as part of a project they are taking part in called “Classtronauts”. The teddy bear called Cosmo ventured into the stratosphere with a real time tracker and a camera to follow his journey before coming back down to earth, landing in Coventry. Cosmo launched at 11:45am on 28th September 2018 from Hexthorpe Primary School. To secure the launch, Hexthorpe had to apply for permission from the Civil Aviation Authority. To fund the mission, children from Year 2 and Year 6 have worked hard to raise £1,300 by selling toast, baking cakes and taking part in a sponsored fun run.